Wilma Claxton Strickland passed away at Azalealand Nursing Home on January 25th while holding hands with her grandson Patrick. She is predeceased by her parents, James Newman Claxton, Sr. and Gretell Riner Claxton, her brother, James Newman Claxton, Jr. (Susan) and a sister, Norma, who died in infancy. She is survived by two sons, Randall Steven Strickland of Savannah and Michael Gary Strickland of Guyton, and a daughter, Christie Wycoff (Rob) of Dahlonega, GA; five grandchildren: Clay Strickland (Blakely) of Golden, CO, Brooke Perkins (Todd) of Greenville, SC, Patrick Strickland of Savannah, Autumn Wycoff of San Diego, CA and Webber Wycoff of Atlanta. Wilma also leaves four great-grandchildren: Rivers, Kaelan, Haley, and Levi, and three siblings: Charles Claxton (Rebekah) of Blowing Rock, NC, Verlyn Claxton (Lynn) of Concord, NC and Bob Claxton (Nancy) of Shellman Bluff, GA, along with numerous nieces and nephews. She was born in Swainsboro in 1932 and moved to Savannah in 1941. She retired from Great Dane Trailers in 1991 after 20 years of service as an administrative assistant and she enjoyed a productive and happy retirement for 28 years. 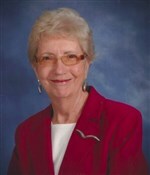 Wilma was a member of White Bluff United Methodist Church where she felt a great bond with all the members, especially her friends in the Contemporary Singles Sunday School class. She also enjoyed twice weekly water aerobics class where she had fun and good times with her workout buddies. She met monthly for lunch with her retired friends from Great Dane Trailers, and the bonds remained strong well after retirement. She loved dancing all of her life and never passed up an opportunity to take to the dance floor. Wilma was gregarious and had a large group of friends and family. She never met a stranger, particularly folks with long histories in the Savannah area with whom she could make instant connections about someone they both knew at work, school, church or clubs. She was a true and steadfast friend to scores of people and was known for her many selfless acts of friendship and kindness. She was also a doting and loving Grandmother who over the decades kept volumes and volumes of photo albums of her family. She will be greatly missed by all whose lives she graced. The family will receive visitors from 5:30 to 7:30 PM on Tuesday, January 29th at Gamble Funeral Service – 410 Stephenson Avenue. The Celebration of Life service will be held at 1:00 PM on Wednesday, January 30th at White Bluff United Methodist Church with Pastor Josh Duckworth officiating. Burial will be in Forest Lawn Memory Gardens in Savannah. In lieu of flowers, donations may be made to White Bluff United Methodist Church – 11911 White Bluff Road, Savannah, Georgia 31419. Wilma will be truly be missed by everyone who’s life she touched. She was a wonderful, kind and giving friend. I was blessed to have known her. Rest in peace sweet lady. God broke the mold when he made our sweet wonderful Wilma! She’ll leave a hole in everyone’s heart that knew her, she was one of the most genuine, giving, loving women I have ever known in my life! Everyone was her friend, she never had any enemies, or never said anything bad about anyone. The world needs more Wilma’s in it, I’m glad she went to see the Lord, and is out of pain and suffering, but my heart is saddened because she’s no longer with us. All of the family I can only imagine how you are feeling right now, I send my most warmest wishes prayers and condolences on her behalf. God bless you all, we were all blessed to have Wilma in our lives! Wilma was a special lady. I lived across the street from her family many years ago. I had the opportunity to reacquaint ourselves when working and retiring from Great Dane Trailers as well. Wilma was a classy and well respected lady that will certainly be missed by family, friends and co-workers. May God bless her! There is a hole in our lives without Wilma keeping us on task. We will miss you heart of gold. Our condolences to all pf her wonderful family. Wilma was a very dear friend for many years. We worked and retired together at Great Dane and kept in touch monthly. She will be sadly missed. My deepest condolences to her beloved family. Condolences to Bob and Nancy and all the family on the loss of your loved one. Our thoughts and prayers are with all of Wilma’s family and friends at this sad time. She was our dear friend and will be greatly missed by all who knew her and loved her. May her memory be eternal. Charles, Verlyn and Bobby I am so sorry to hear about Wilma’s passing. My love thoughts and prayers are with each of you. Rest in peace, Wilma. I’m not surprised to read these praises about her as she came from a wonderful family whom I knew since childhood. I knew enough about Wilma to know she was an outgoing, genuinely good Christian person. My sympathy and prayers go out to Charles, Verlyn and Bob. May the Lord comfort you in your grief.